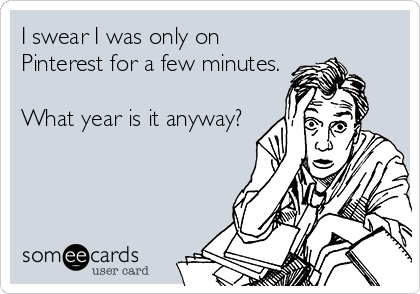 Pinterest is so addicting. But, what feels like a few minutes can turn out to be a whole lot longer. I swear I was only on Pinterest for a few minutes. What year is it anyway? You know the last two minutes of a football game? 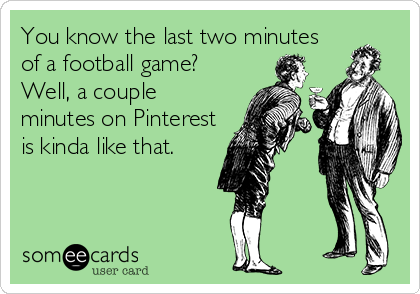 Well, a couple minutes on Pinterest is kinda like that.